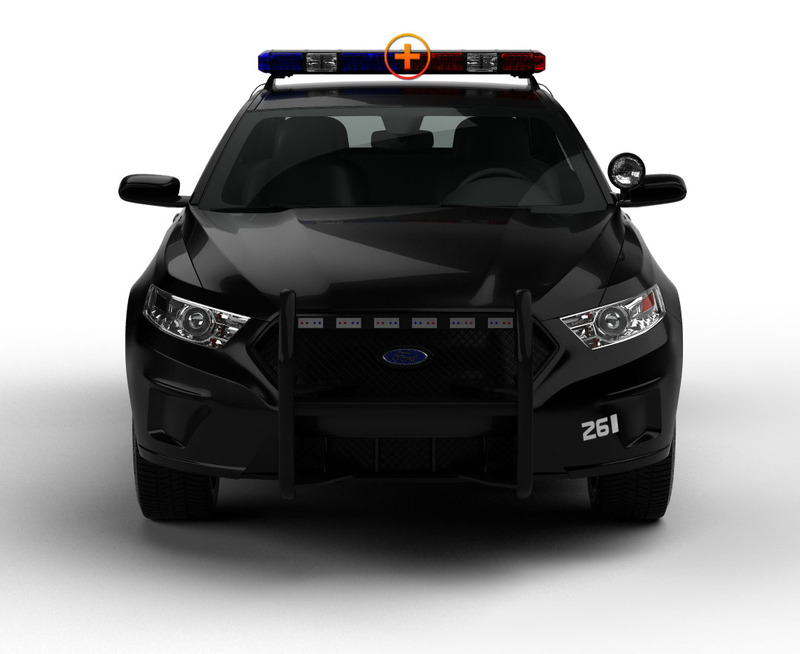 The Halo A O3 is just what first responder volunteers need when they want to be on their way in a flash. Just ‘pop’ the light bar on the roof (it has 2 powerful magnets to secure it), insert the combination cigarette lighter power plug with ON/OFF and flash pattern switches--Hit ON--and you’re ready to take off! 18 Generation IV 3-Watt LEDs start flashing with a push of the flash pattern button; the Halo A O3 has astounding luminosity for its size...a whopping 54 Watts on a 10 ½” bar. The LEDs shine through high-quality TIR lenses from all four sides of the polycarbonate unit. 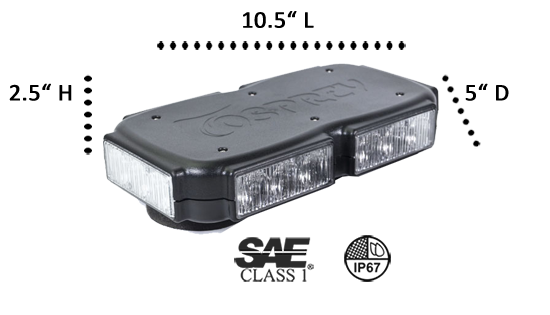 With its 19 strobe patterns flashing on top of the roof of your emergency vehicle, the ‘mini’ is a 360° beacon light bar to all for miles around warning motorists to heed caution. There are 3 solid color or 4 split-color combinations to choose from. In less than a minute, the light and plug can be in place on your POV. This compact light system is one of ETD’s quickest to set up and GO! There are no mounting brackets or suctions cups and no hardwiring necessary. For volunteers who do not want a full-time emergency light system installed in their POVs, the Halo A O3 is just what you need to have powerful, flashing lights when you’re on your way to an incident and when you get there. The rest of the time, it is back in the box ready to ‘pop’ into action in an instant! This mini light bar is NOT Rated for highway speeds with a magenetic mount install. DO NOT Attempt to drive this vehicle without having this light bar permanently hard mounted to your vehicle.